Peppa Pig and George Pig toy characters on black background. Studio shot. "I’d like to thank Peppa Pig for the slight yet adorable British accent my toddler is acquiring," one mom wrote on Twitter. ST. PETERSBURG, Fla. — Has your child been developing a British accent? It might be due to the "Peppa Pig" syndrome. No, really: Parents on Twitter say the children's TV show is having quite the effect on their little ones. As the London-based Evening Standard found, several tweets in recent weeks talk about how young kids are speaking increasingly British. "My son has watched so much @peppapig that he now speaks with a British accent and tells me all his toys are going on holiday," @SamShoeDiva wrote. The TV show has been on the air since 2004 and follows the life of Peppa and her family. Her friends are featured, too, and all are different animals. It airs on Nickelodeon/Nick Jr. in the U.S.
Says @annabirrrd: "my child watches Peppa Pig so much that she says “torch” instead of flashlight and “swimming costume” instead of swim suit and has an accent when saying certain things"
@jenrofe chimed in: "I’d like to thank Peppa Pig for the slight yet adorable British accent my toddler is acquiring. 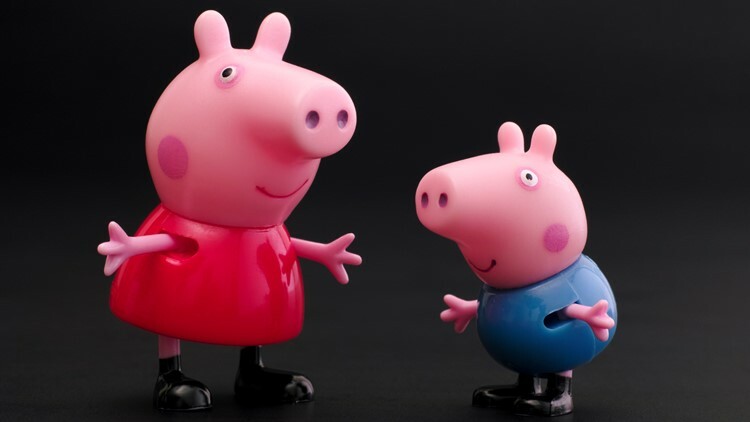 #mum #mummy"
@K_Fernanda88's kid is cute, but... "On top of her cute little British accent my three year old insists on calling me Mummy Pig😬 Thanks #peppapig"
If your kids suddenly care for a "spot of tea" or call you "mummy" at such a young age, it seems normal: A study by the University of Plymouth, cited in a 2012 Telegraph article, found children begin picking up accents at about 20 months old. Research even shows children are more likely to develop the accent from what they hear at school or in playgroups, not from their parents.